It’s no wonder the tourism business in Sydney continues to grow year in year out. This gorgeous region is stunning in every possible way. From endless coastlines to popular city beaches that creates an exciting vibe and tourist magnet all year round. Sydney has earned its reputation as a world class international city and economic hub in South-East Asia. For such a young nation and city, Sydney, Australia has transformed into a sophisticated thriving city within the past two decades and has earned its place on the world stage. There’s an absolute wealth of places to visit in Sydney, ranging from beach holidays, five star accommodations in the city surrounded by clubs, bars, waterfront international restaurants and night markets, or hinterland and B&B retreats perched within the valleys and mountains. Here are our top 7 tips for romantic and fun getaways for your next trip down-under. 1/ Bondi Beach. 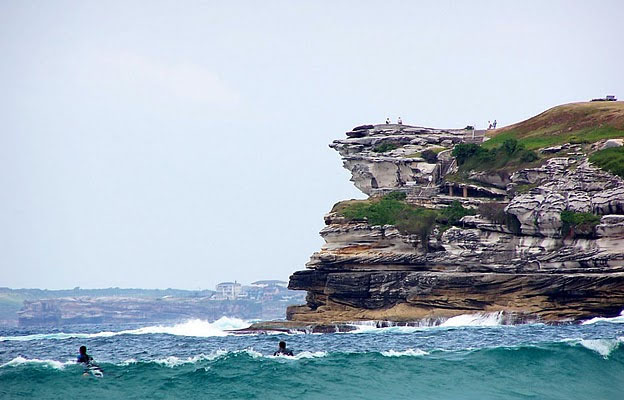 Bondi is just as famous locally as it is internationally. Book a room at the Swiss Grand Resort and Spa, or Holiday Inn. Once you’ve settled in, get outside and soak up the atmosphere. This tourist strip is packed with people all year round thanks to the trendy bars, cafes, surf shops and restaurants that are all perched right on Bondi Beach. Expect to see a celebrity or two and plenty of ‘beautiful people’ when you visit Bondi. 2/ The Hunter Valley. Here’s the perfect location to soak up some romance when you visit one of the most popular wine regions in Australia. There’s more than 120 wineries as well as cafes, restaurants and immaculate accommodation facilities. Couples can indulge in beauty treatments and day spas, cooking classes and a round or 2 of golf. 3/ The Blue Mountains. It’s hard to beat the romantic scenery of beautiful mountains. You and your sweetheart can get lost for hours strolling through the rainforests and caves. Find a secluded spot and set up a mountain-top picnic. 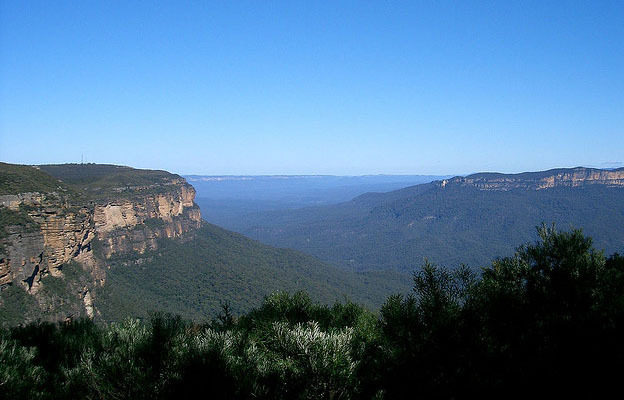 The Blue Mountains is one of the world’s most beautiful hinterland locations. You’ll be mesmerized by the natural wonders which include the Jenolan Caves and the world Heritage listed national parks. 4/ Southern Highlands. This region smacks of old world charm. The Southern highlands boasts gorgeous classic English gardens. Take a stroll up-town through the antique and book stores, visit the Bradman museum at Bowral, which showcases the memories of Australia’s most famous sportsman, legendary cricketer, Sir Donald Bradman. Go back in time and pay a visit to the historical town known as Berima. 5/ Sydney Harbour escape. 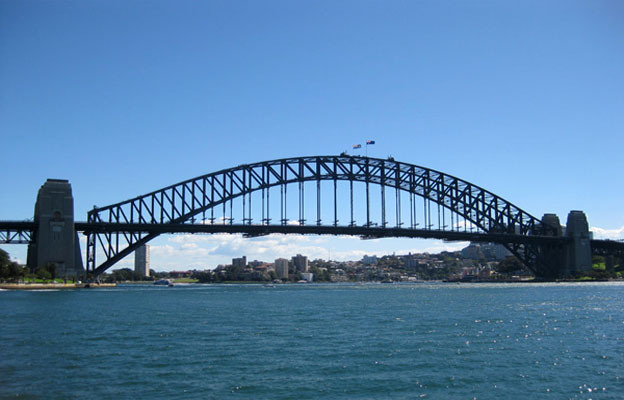 Dating couples and husbands and wives could not pick a more romantic getaway destination than Sydney Harbour. It’s the creme de la creme of locations for romance and fun. Stroll arm in arm and take in the vibe along the waters edge of Sydney Harbour. Enjoy the delights of the Irish, English and Australian touches within this bustling village atmosphere. Take your pick: international water front restaurants, art galleries and theatre, 6 star accommodation and all night bars, night clubs and the red light districts of Darlinghurst and Kings Cross. 6/ Byron Bay. Byron Bay is a small sized coastal town located about 800 kms north of Sydney, in NSW. Population swells by up to 400% in peak holiday seasons. During off-peak times, Byron Bay is renowned for its hippy beach culture offering dating couples a very unique holiday experience. Drawcards include great surf breaks, clean and clear beaches, is located nearby some of Australia’s most spectacular sub-tropical rainforests, hosts many festivals and popular events throughout the year and is one of the nations most popular wedding destinations. For your accommodation, we’d recommend the luxurious resort, The Byron at Byron. 7/ Darling harbour. 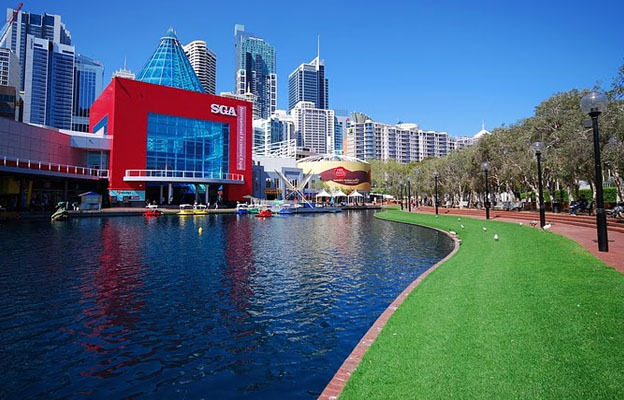 Darling Harbour is without a doubt Sydney’s favourite entertainment and leisure location. Catering for anyone and everyone from dating couples, families, singles and for any occasion. By day, visitors can stroll along the waters edge and gardens and stop off for lunch and a beer watching the water craft dock at the pier. There’s also loads of shopping, and Star City Casino is also within walking distance. By night, Darling Harbour attracts thousands of people to its night clubs and restaurants. Darling Harbour is unique in the way it showcases indoor and alfresco entertainment. About the author: Matt Fuller writes articles pertaining to a variety of topics ranging from traveling solo, relationships advice, singles getaways, as well as romantic getaways in Sydney and all over Australia.